AU8510 ultrasonic thickness gauge utilizes ultrasonic principle, and made with intelligent micro processor. With compact size body, the ultrasonic thickness gauge is easy to hold by hand. The thickness gauge can provide quick, easy and precise NDT measurement for wall thickness. AU8510 ultrasonic thickness gauge has been widely used in various of industries for measurement of different hardware or parts. For the application, it can be used for metal processing, pipe wall thickness gauge, commercial inspection,etc. With high cost-effective, the ultrasonic thickness gauge has been the popular selling item. 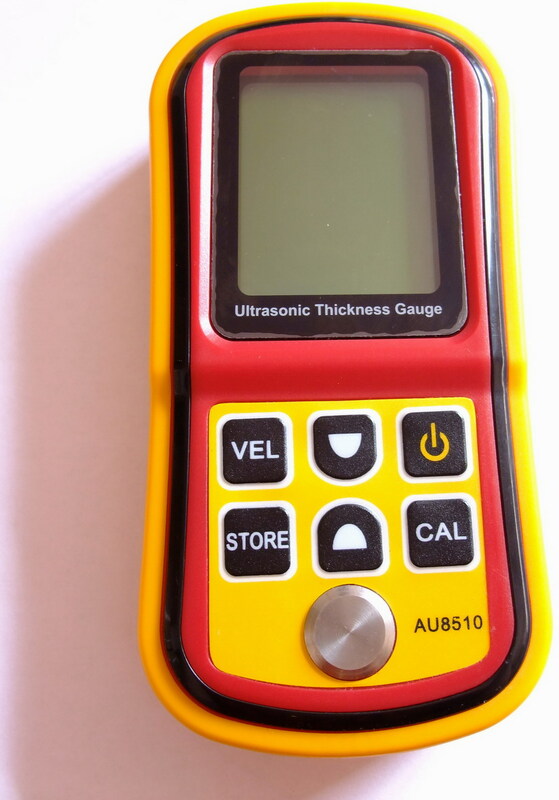 AU8510 ultrasonic thickness gauge can measure material that have good ultrasound conductor, e.g. metal, plastic, ceramic, glass, etc. But the thickness gauge is not suitable for cast iron because of its big crystalloid composition. when the given thickness over 20mm, the accuracy is +/-1%; when less than 20mm, the accuracy is +/-5%.